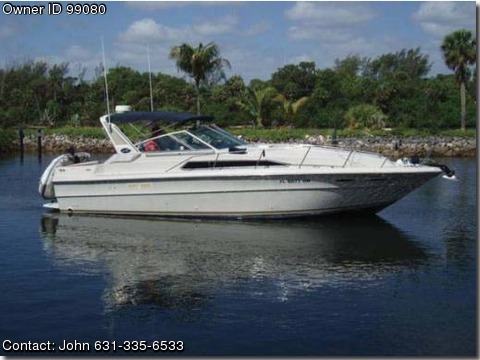 Boat is located in Juno Beach,Florida.Please contact the owner @ 631-335-six five three three or jpass45(at)gmail(dot)com…132 hrs on new FWC fuel injected 5.7/ 325 HP Marine Power Engines. AGM batteries for Bow Thruster and Windlass w/ SS CQR Anchor. 9&#39; Avon RIB w/ 5 HP Nissan OB Engine. Overall boat condition is very good.